Sushi: Food for the Eye, the Body and the Soul | "მარანი"
In recent decades, sushi has gone from being a rather exotic dish, eaten by relatively few outside of Japan, to a regular meal for many across the world. It is quickly gathering the attention of chefs and nutritionists everywhere. It has even made its way into numerous home kitchens where people have patiently honed the specialized craft required to prepare it. 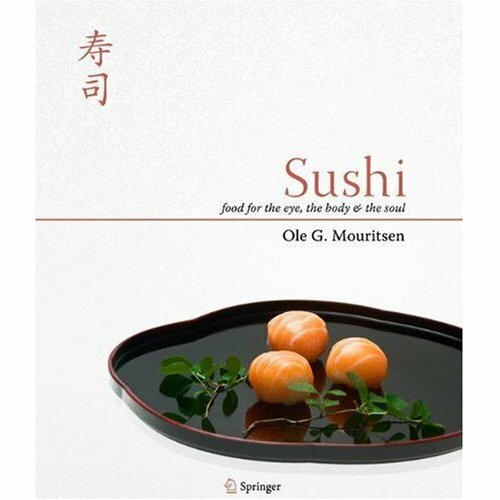 Few have been more attuned to this remarkable transition than Ole G. Mouritsen, an esteemed Danish scientist and amateur chef who has had a lifelong fascination with sushi’s central role in Japanese culinary culture.